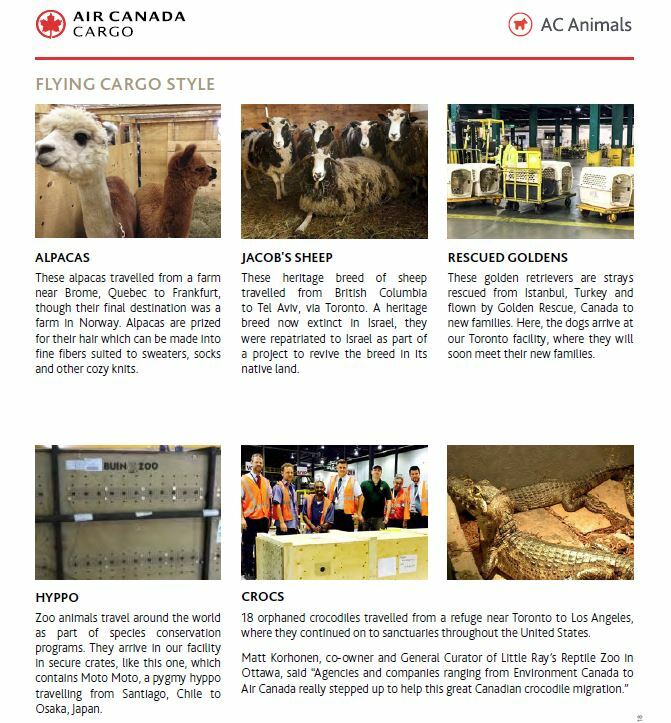 MONTREAL, Aug. 9, 2018 /CNW Telbec/ – Air Canada Cargo has become the first airline to receive a new global certification for the safe transport of live animals. The International Air Transport Association (IATA) awarded Air Canada Cargo with the Center of Excellence for Independent Validators for Live Animals Logistics (CEIV Live Animals) Certification following successful completion of the verification process in its Montreal facility. 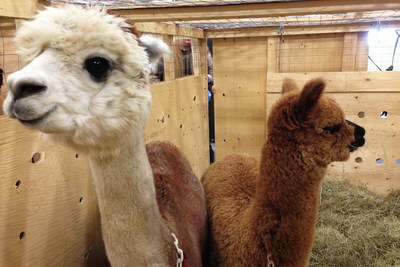 This certification reinforces that Air Canada Cargo is operating to the highest standards in the transport of live animals, be it exotic species or household pets. 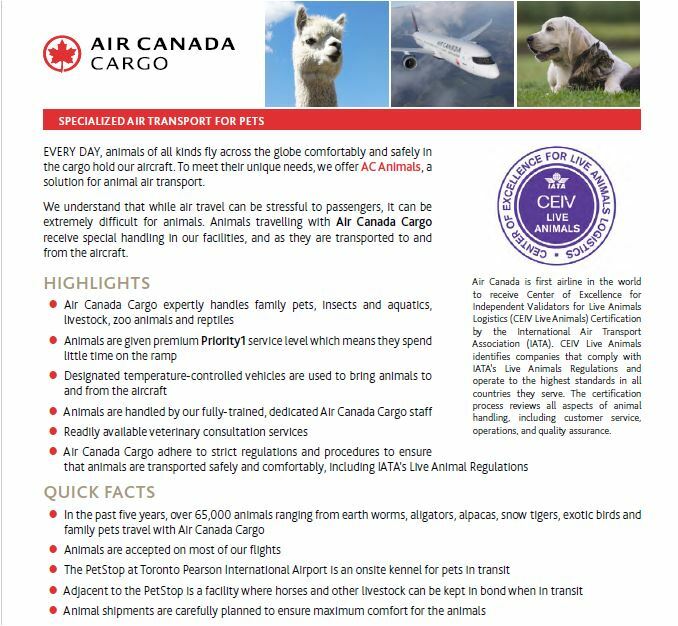 “Air Canada Cargo is a trusted carrier for thousands of animal shippers worldwide and has followed the IATA Live Animal Regulations (LAR). 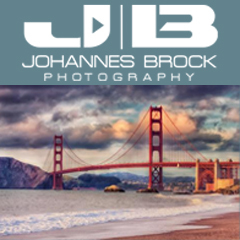 We expertly handle complex shipments, from rescued dogs, endangered animals travelling between zoos for conservation efforts and of course family pets. We are honoured to have been selected to participate in the CEIV Live Certification program and are proud of the team at Air Canada Cargo for achieving the industry’s first-ever certification, which reinforces our position as an industry leader,” said Tim Strauss, Vice President, Cargo. 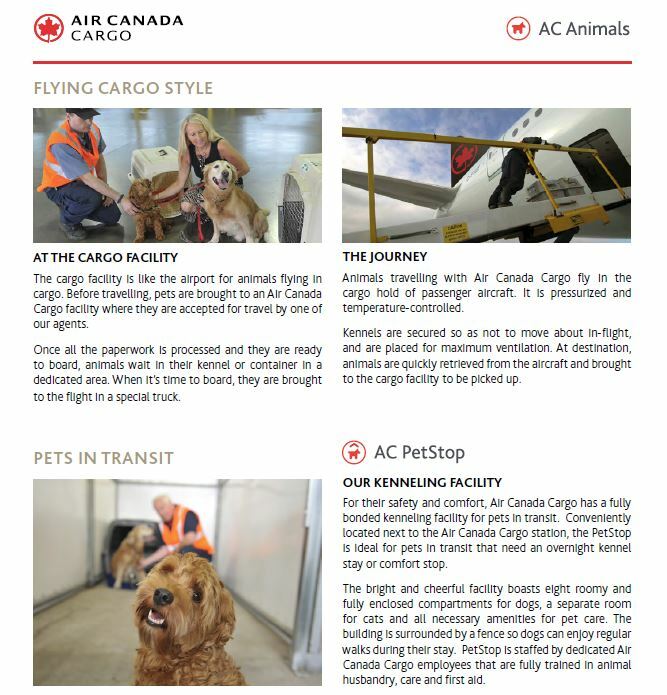 Over several months from January to July, as part of a thorough audit, IATA’s specialists reviewed Air Canada Cargo’s live animal transport policies and procedures in its Montreal facility. Compliance with Canadian Food Inspection Agency (CFIA) was fully reviewed as was compliance with protocols like the Convention on International Trade in Endangered Species of Wild Fauna and Flora (CITES). 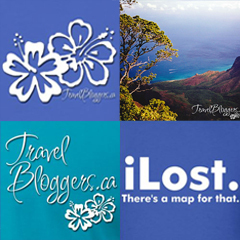 Air Canada is Canada’s largest domestic and international airline serving more than 220 airports on six continents. Canada’s flag carrier is among the 20 largest airlines in the world and in 2017 served more than 48 million customers. Air Canada provides scheduled passenger service directly to 64 airports in Canada, 59 in the United States and 98 in Europe, the Middle East, Africa, Asia, Australia, the Caribbean, Mexico, Central America and South America. Air Canada is a founding member of Star Alliance, the world’s most comprehensive air transportation network serving 1,317 airports in 193 countries. Air Canada is the only international network carrier in North America to receive a Four-Star ranking according to independent U.K. research firm Skytrax, which also named Air Canada the 2018 Best Airline in North America. 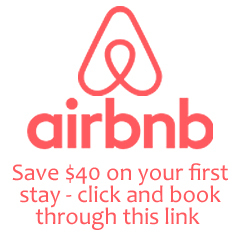 Air Canada was also named the 2018 Eco-Airline of the Year by the respected airline industry publication Air Transport World in its 44th Annual Airline Industry Achievement Awards for its commitment to emissions reductions through supporting the development of alternative fuels, its numerous green programs and partnerships, and being the first airline worldwide to voluntarily join the World Bank’s IMF Carbon Pricing Leadership Coalition. Next PostSeptember 2018 Desktop Wallpaper Now Available!